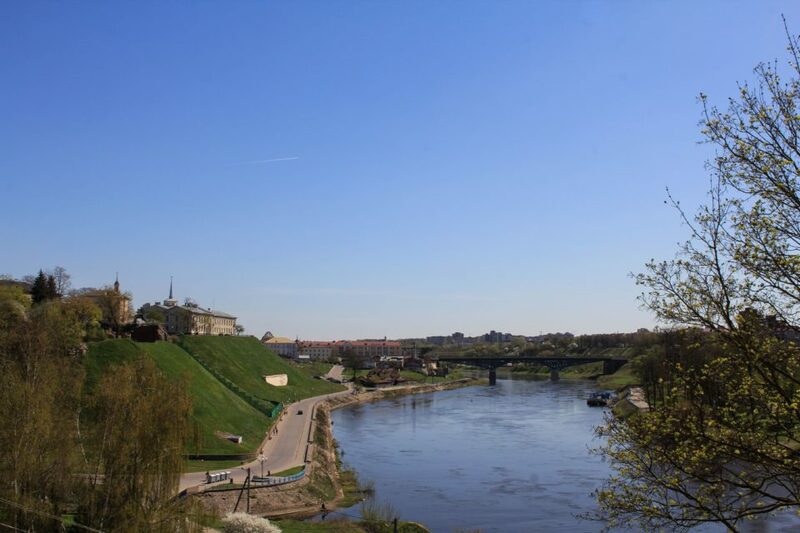 For its last stop, Team Red went to the geographical centre of Europe: the city of Grodno! The ambassadors discovered the pleasant city of Kings and its many beautiful and historical buildings. They also enjoyed interacting with the participants of their last workshop at a Language School, for many of the students were very keen to learn more on the topic of Global Warming. After our misadventure at the border to leave the Russian Federation, we finally reached Riga on the 18th April afternoon. This was the perfect moment to take a break from all our duties and freely wander in the lovely historical centre of the Latvian capital. The next day, we headed back to the bus station and were so confused not to find any bus going to Grodno that we missed our ride. It is only when the second bus arrived two hours later that we understood that Gardinas means Grodno in Lithuanian! We were relieved to be able to get on the bus, but quite concerned about the next border control coming up. Surprisingly, this checking point turned out to be the easiest one of our route! Knowing we would only spend two days in Grodno, we arrived in the city super motivated and determined to make the most out of it. We directly felt the relaxed and enjoyable atmosphere of the city and the hospitality of the people. I was actually expecting a typical Soviet city, but to the contrary, the architecture in the centre mainly dates from the 18th century and shows the rich historical heritage from the times of Polish and Lithuanian Kings ruling over the city. From the castle, we could enjoy a nice view over this peaceful, open and green city. In fact, it is the greenest city of Belarus! Another good adjective for the city is multicultural. It has only 370 000 inhabitants, yet it welcomes many different nationalities and is a symbol of religious tolerance. 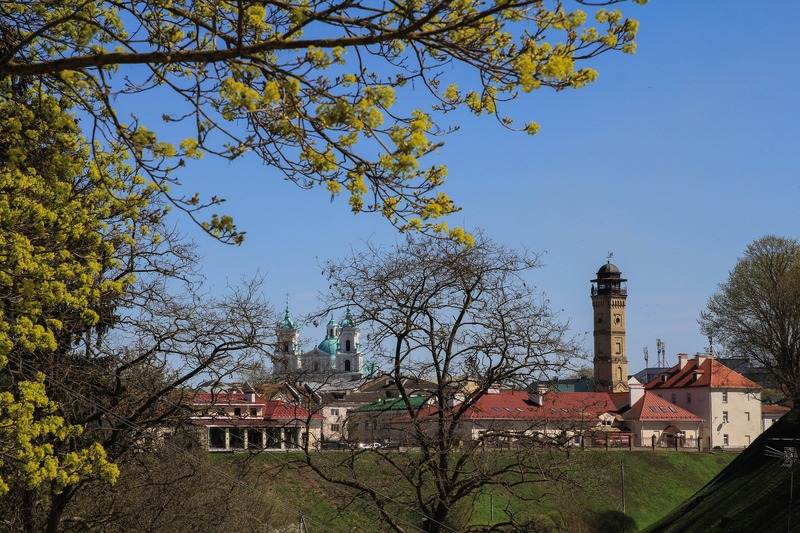 Once every two years, there is even a festival of cultures organised in the Kalojski park, and each nationality present in the city has its own tree in the park. For instance, the Robinia pseudoacacia came directly from Bulgaria and proudly represents the Bulgarian nationality. 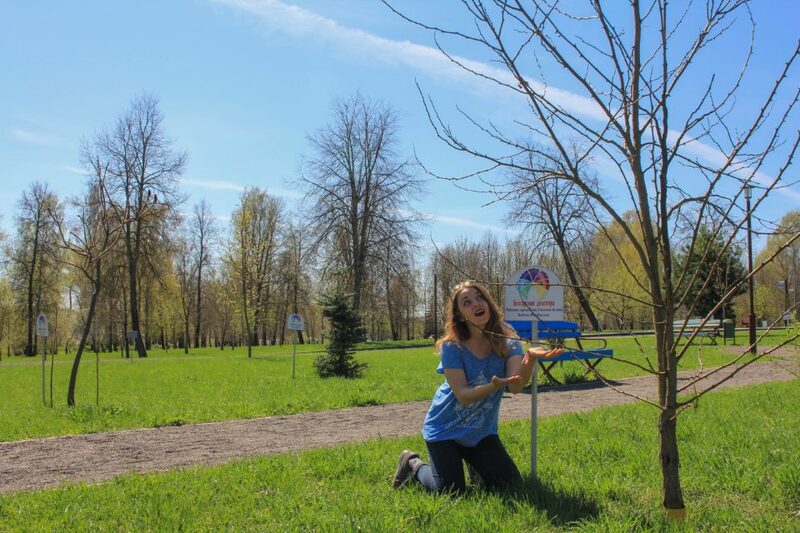 AEGEE-Grodno also took us to see a tree planting activity organised by some schools and university of the city. This reflects well the increasing concern for nature in the city. In fact, we were very pleased to see how clean the city is thanks to the many recycling bins present in public places and to the caring of the inhabitants. Due to a tight schedule, we had to deliver our three workshops consecutively in one afternoon. 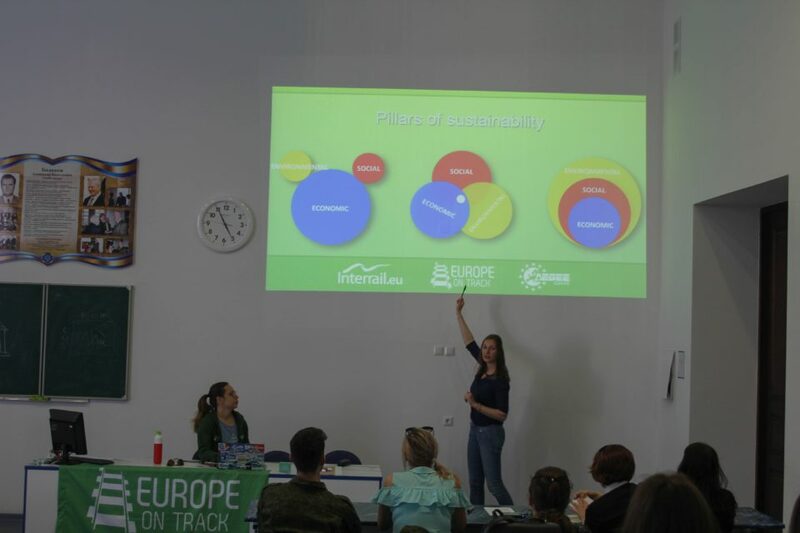 So we went to the Yanka Kupala State University, which is named after the most famous Belarusian poet, and we held two sessions: first on Introduction to Climate Change and Sustainability, then on Social Sustainability. For our last workshop, we went to the Mr English Language School and had an interesting discussion with the students of an English class on the need to change mentalities and have a more sustainable lifestyle even though some technical solutions might be possible to mitigate Global Warming. The members of AEGEE-Grodno took such good care of us, especially Julia, and Tatjana and her parents who kindly hosted us for two nights. Thank you again to everyone who contributed to this very nice last stop! We simply loved our time there! We are looking forward to seeing all those amazing people again somewhere in Europe! Wish to see more pictures of our eighth stop? Check out our album here! Missed our blog post about our previous stop in Saint Petersburg? It is still time to read it here! Written by Aliénor Pirlet, Photos by Marie-Clair Graf.